Suitable for assembly of critical part and for mass production lines. break does not exceed further 14 degree. 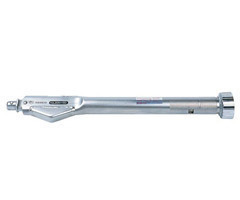 Open end spanner, ring, square drive, ratchet and hex heads can be used as needed. A cost saving wrench.